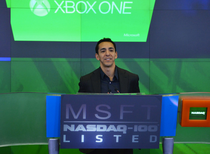 Guest blog post from Yusuf Mehdi, Corporate Vice President of Strategy and Marketing, Xbox. “Thanks to you, 2013 was an incredible year for gamers, entertainment fans, our industry and Xbox. With Xbox One we saw the most epic launch for Xbox by all measures. We are humbled and grateful for your loyalty and delighted by the millions of hours of gameplay and entertainment enjoyed on Xbox. 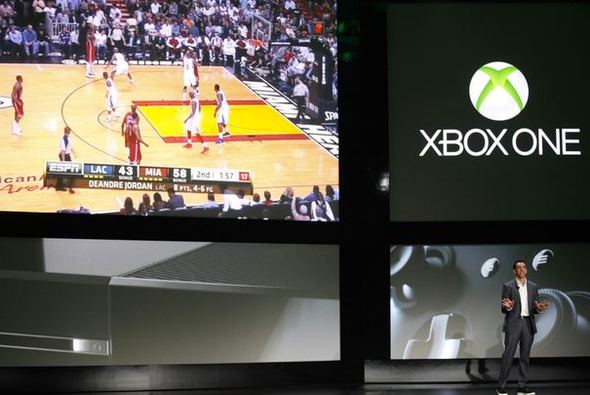 Together, we ushered in a new era of games and entertainment with Xbox One. Over three million Xbox One consoles were sold to consumers in 13 countries before the end of 2013. It’s been incredible to see Xbox One selling at a record-setting pace for Xbox, and we were honoured to see Xbox One become the fastest-selling console in the U.S. during our launch month in November. Since our launch, demand for Xbox One has been strong, selling out throughout the holidays at most retailers worldwide. We are continuing to work hard to deliver additional consoles to retailers as fast as possible. The reaction from our fans was mind-blowing for our team. As we see your excitement, energy and hours of gameplay, we continue to be inspired to do great work – for you. Whether you’re racing through the streets of Prague in “Forza Motorsport 5,” creating crazy weapons for zombie destruction in “Dead Rising 3,” exploring the Coliseum in Gladiator mode in “Ryse: Son of Rome”, creating a bespoke zoo in “Zoo Tycoon,” or enjoying intense multiplayer battles, we love that you’re having fun on Xbox One. We also love that you are seeing the promise of an all-in-one entertainment system. Millions of hours of live TV have been watched and millions of hours of app entertainment have been enjoyed. We are proud to have the most passionate, engaged and simply the best fans in the world. It was fun to share the holidays with so many of you. We’re excited for the year ahead and will be working hard to bring Xbox One to more fans and more markets around the globe. 2014 will be a promising year with many more great games on the way for Xbox One including “Titanfall,” “Watch Dogs,” “Project Spark,” “Sunset Overdrive,” “Tom Clancy’s The Division,” “The Witcher 3: Wild Hunt,” “Destiny,” “Plants vs. Zombies: Garden Warfare,” and “The Elder Scrolls Online,” among others. More games, more features, more content, more fun – all coming your way this year.